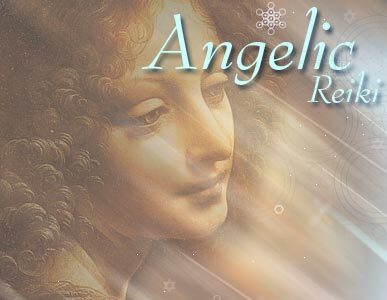 What is the difference between Angelic Reiki and other Reiki systems? Do I need to have completed a course of Reiki in another system before taking an Angelic Reiki workshop, or have done some kind of spiritual workshop or study? When giving distant healing do I need the permission of the person to whom I am sending the healing? When giving the attunements, I visualized the symbols in my mind as best I could but was wondering if this was necessary as I don't see it mentioned in the manual. Is it possible to practice Angelic Reiki on pregnant women, safely? Is it possible to use Angelic Reiki on animals? Is it necessary that the attunements be done to Michael Hammer's Awakening the Lightbody? I plan to purchase these cds, but all I had available for a students attunement was a copy of Gifts of the Archangels. What if I end up in a situation in which I have no music (not likely, I know, but I'm curious)? When raising the vibration of food, is it powerful enough just to use the Cho-Ku-Rei symbol myself? Lately, I've been bringing in an Angel each time I eat and going through the entire process including the anchoring with Michael, but I have started to wonder if this was a significant enough reason to call in an Angel? Can you clarify for me what the difference is between calling in an Angel and using Angelic energy? As I generally endeavour to be aware of my breathing, and often ponder what the most powerful way to breathe is (i.e. accompanying visualizations, mantra, etc. ), I sometimes wonder why not breathe in and out the Angelic energy all the time, and when I'm in public I often do so. Is it okay to ask for the Angels and Masters to be with me all the time? (part of me feels that's a silly question, but I'm still not sure). Doing this, makes the routine of calling in and "releasing" these Beings somewhat fuzzy. Does it need to be clear? Are the healings less powerful if I'm not completely present? For example, sometimes I might be holding a conversation with someone and be facilitating a healing at the same time in the back of my mind. If I lose focus in this context or in self-healing at night, but come back to it, do I just trust that the Angel(s) are still there? Q11 In the manual, the attunements describe the Triple Grid activation twice in detail; whereas, when you gave the attunements in the workshop, you described them once then said reverse the spin of these grids and gave time for this to happen. Is it fine for me to use the later method as well, and if so, is it best that I go over the triple grid activation again mentally, or should I just trust/feel it happening? Can the pronoun "we" be used in place of "I" during the attunements, or is it more powerful to use "I" and tell people to repeat what I say mentally as if they were saying it or just affirm that I speak for them? Can I use the reiki symbols in my advertisements? I have had a difficult time understanding where the third chakra is. I've tried not to see it as such a big deal, but it keeps coming up as it is part of visualizations I do nearly everyday, but which seem to conflict. In my kriya yoga practice, it is said to be (and I can feel it) along the spine directly behind the navel (the 2 nd chakra is at the coccyx, and this third chakra has the same characteristics as what is generally referred to as the solar plexus chakra), and in the Merkabah meditation, I visualize a ball of light at the solar plexus, which is where I put my hand when doing Angelic Reiki. Can you explain the discrepancy, both in terms of the vertical location of this third chakra and in regards to the location of all the chakras in the body - are they along the spine or more towards the center of the body? Are you familiar with Drunvalo's relatively recent material about the sacred space (zero point I would say) within the physical heart? If so, what role do you think this space and the practices aimed towards experiencing it play in the ascension process? I ask because I am in the process of discerning what to focus my energy on. Reaching this heart space feels very profound to me, but after attending the workshop nearly one year ago, I feel no closer to it and feel that it is because I do not give it enough time. Do you have a particular way that you prefer to breath.ha, besides through your nose or mouth and above water! Like I said before, I am curious about the results of breathing in certain ways. Sometimes I like to breath through my heart chakra, but I've been trying sometimes lately to imagine breathing through the zero point in my physical heart. Breathing through the crown seems to make a lot of sense and is done in many of the meditations I've practiced, and breathing energy up from the root chakra is the main focus of kriya yoga practices, which aims to awaken the kundalini. Sometimes, I'm so overwhelmed with the options that I can't decide and try to imagine breathing through them all at once.I'm sure you can guess how long that lasts. Regarding the developing breath, do we visualize the breath coming in from the crown chakra during the entire exercise? What is the significance of counting along with one's heart beat (which, for me, increases drastically in speed when I'm holding my breath)? Is the afternoon technique the same as the morning but simply starting with the opposite nostril (blocking the left)? Why the change, and can it be done in the evening/night? What exactly does it mean that in Angelic Reiki, the Reiki symbols are activated on all 7 levels? I wrote in my pamphlet "all 7 levels of creation". Is this accurate, and if so, what exactly does it mean -- different dimensions, levels of consciousness? and what is it that makes these levels different (despite being all one)? On one of the websites that is linked to yours (angelicreikiwisdom I think -- the one with music) the person states that a 20 minute healing session is "the physiological equivalent to 3-4 hours of sleep". Is this true, and if so, how do we know this? My mom and I went to the workshop together, and we found that we were both feeling very depressed about a month or so afterwards. And, we both had an aversion to doing healing work. Whereas it is usually a source of joy and energy for both of us, it has ceased to be so. Is this perhaps a temporary "clearing" effect or is it something to be concerned about? Please advise. Do you have any experiences or advice about using Angelic Reiki to treat autism? I am having some difficulty in sorting out the esoteric truth about the cause of disease. Before I started to study energy medicine, I studied nutrition- so I am inclined to think that diet plays a role. 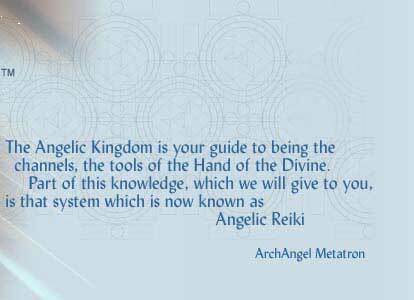 And that leads me to think that Angelic Reiki would not be enough to help anyone because I must also help them correct their diet or use nutritional healing. So, my question is then, what role does diet play in health? I have also read that certain foods (such as dairy or alcohol) obstruct the nadis or that high frequency foods like juices help awaken kundalini energy or assist in the transmutation of the body into a more spiritual form. I have also been very concerned in the past with food allergies, processed foods, and white sugar as major causes of disease. Perhaps these can be prevented by blessing all foods? As you can tell, I am very confused on this subject and would appreciate advice. I do not want to perpetuate false beliefs in my clients or myself that impede the healing process or unnecessarily interfere with more carefree type lifestyles. One additional question came up for me about the attunement process for objects & foods. When you are attuning a substance to Angelic Reiki, can it transmute the physical toxins in the substance so that they are not harmful biologically? (An example of this would be a can of paint or synthetic fabrics). I was also wondering about this same idea with food. I read a perspective on food once that the nutritional laws are part of the illusion/belief system that we follow, and that any food that is blessed and infused with love, whether it is a cookie or broccoli, is as life sustaining as it could possibly be. The whole idea confused me a bit because this seems in line with spiritual laws of attention affecting physical reality and the idea that energy is all there is, but I am unsure of how the 3-D reality actually operates in this respect. I was wondering if you might be able to clear this up as well. I have been confused by some of the research that I've read on the subject and think I might be missing the truth of the matter. The healing system of the Atlantian's was rediscovered by Dr Usui in the 1880s, due to humanity now being on the opposite of the 26,000 year cycle of our solar system, where Atlantis was destroyed. There is an esoteric interplay in any cycle, whereby points on that cycle are at 180° to each other. Since the Harmonic Convergence of 1987, another leap in consciousness ensued which has allowed the Reiki symbols to now be given at higher vibration's than heart chakra. When Angelic Reiki was first channeled in 2003, we were aware that the attunement's to the symbols were taking place at the throat chakra vibration. The vibration of the attunement's has steadily increased since this time. With the anchoring of the Crystal Grid in November, 2005, we were made aware that for the first time since Atlantian times the healing symbols of Atlantis have the possibility of being given out at the full 7 levels of form and Divine Form. Angels are a manifestation of divine archetypes, what Plato called "ideas". If you call in the energy of a specific Angel, depending on the name of the Angel will depend on the particular archetype you wish to contact. To work with the names of angels requires some knowledge of what each particular Angel brings as an archetypal energy. In the manual, the attunements describe the Triple Grid activation twice in detail; whereas, when you gave the attunements in the workshop, you described them once then said reverse the spin of these grids and gave time for this to happen. Is it fine for me to use the later method as well, and if so, is it best that I go over the triple grid activation again mentally, or should I just trust/feel it happening? Drunvalo has rightly perceived that there are esoteric centres within the heart. In actual fact, there are seven heart spaces within the human brain, and seven brain centres within the human heart. Part of the knowledge of this is one of the secrets of the ancient wisdom and has not been given out at this time. My advice to you is to meditate on the spaces and let the knowledge arise. Do you have a particular way that you prefer to breathe.ha, besides through your nose or mouth and above water! Like I said before, I am curious about the results of breathing in certain ways. Sometimes I like to breath through my heart chakra, but I've been trying sometimes lately to imagine breathing through the zero point in my physical heart. Breathing through the crown seems to make a lot of sense and is done in many of the meditations I've practiced, and breathing energy up from the root chakra is the main focus of kriya yoga practices, which aims to awaken the kundalini. Sometimes, I'm so overwhelmed with the options that I can't decide and try to imagine breathing through them all at once.I'm sure you can guess how long that lasts. A practice that we have been teaching throughout 2006, and more so in this year, 2007, is a practice we term the Developing Breath. This is a basic form of pranayama, and opens up the energy channels within the etheric body to maintain good health. It also allows you to contact kundalini energy, or another form of energy which has been termed Virilic or the ' Elan Vital', which is universal life force energy, the energy which animates matter. It feels that the teacher who has put this out has perceived this in her healing sessions. It is a truth that when a person goes into an altered state, which is what happens in Angelic Reiki healing, it is akin to that person's consciousness vibrating at the level normally associated with Rem sleep. If that person maintains this level of consciousness, I could quite understand that person feeling as if they had had three to four hours sleep. True joy is a constant state of consciousness. If our happiness, love, fulfillment etc is subjective and the consequence of an external event then this means that it can be taken away if the event changes. The happiness, love, fulfilment etc was therefore in consequence of.........., it is transient and therefore not coming from the wisdom of knowing who we are. That we are, in the true essence of that Being of Light Joy, Love, fulfillment, etc. The concept of the unconditional space and the idea that there is "nothing to do", initially can takes away the feeling of satisfaction as a healer. With situations like autism it is important to understand the big picture in order to define what we might perceive as "healing". Our incarnation and purpose is interplay between all the other players in our life's journey. Often diseases like autism, childhood cancers etc have been chosen by the incarnating soul in service to other members of the family. This is usually a lifetime's mission to enable the relative to learn a particular lesson. Angelic Reiki does not preclude the need for good nutrition. We cannot expect the physical body, the emotional body (governed by the hormonal system) or the mental body (governed by electrical impulse) to function correctly if the 3-D ingredients i.e. vitamins, minerals, trace elements etc are not present. A good example of this would be if we were giving somebody with brittle bone disease Angelic Reiki. The healing would deal with the reason why this person felt "fragile". It would also correct any inability in absorption of calcium, BUT if this person has not got enough absorbable calcium in their diet they are not going to get better on the physical level. With regards to allergies the bigger picture needs to be looked at. There is, as with all pathology mental and emotional components. It is absolutely reasonable for us to be allergic to toxins as this is part of the unnatural situation that we find ourselves in today. But to be allergic to good natural substances and foods is not healthy and balanced. As Kevin would say "it is not rocket science". We simply need to support the person we are healing, in asking of themselves the question "why can I not embrace the goodness of this 3-D world ?". In the case of something like pollen sensitivity (pollen is totally natural ) , the misuse of antibiotics and vaccination can create an oversensitivity of the immune system , this is the reason that the body produces too much histamine and antihistamine drugs are "effective" in this situation. Using Angelic Reiki Healing with the intention of rebalancing the Immune System ( through the etheric body)will help. In the case of hay fever, Kevin has had a lot of success. His method is to make an appointment with the client one month before the usual onset of the annual hay fever places both his hands about 3/4 inches from the eyes, with the intention of healing the etheric chakras of the eye. With the rebalance of these two Chakras, the Chakra that corresponds with the Pineal gland also comes into balance. The symptoms either do not arise or are very much reduced. All our information and expertise with nutrition is very valid in supporting good health on all levels. It is so important that it does not become an obsession. It is much more out of balance to have a lot of " SHOULDS" in our lives than to break the rules and live in joy and freedom. Everything is an absolute reflection of our consciousness. So exactly to the extent we could transmute the toxins of a tin of paint or make a cookie as nutritious as broccoli depends on the level of consciousness from which we view it. If it is an absolute truth for you that cookies would sustain the physical body in perfection, then it would, and that Angelic Reiki would neutralize the toxins then it would (so would the Merkabah: best tool for the job, see Drunvalo's work). This though, I feel, is very similar to levels of consciousness that Sadhus in India who can lie in a Coffin under the ground, with no air holes for weeks or months and at the end of it are in perfect health and vitality. There is one way of navigating and understanding all this and that is "good old commonsense". In my reality if toxic fumes come into my house I am going to be unwell, and I am definitely going to be healthier eating broccoli rather than cookies.